Traditional overall tacks and slides are adjustable for torso length. Wear the bib up or down! 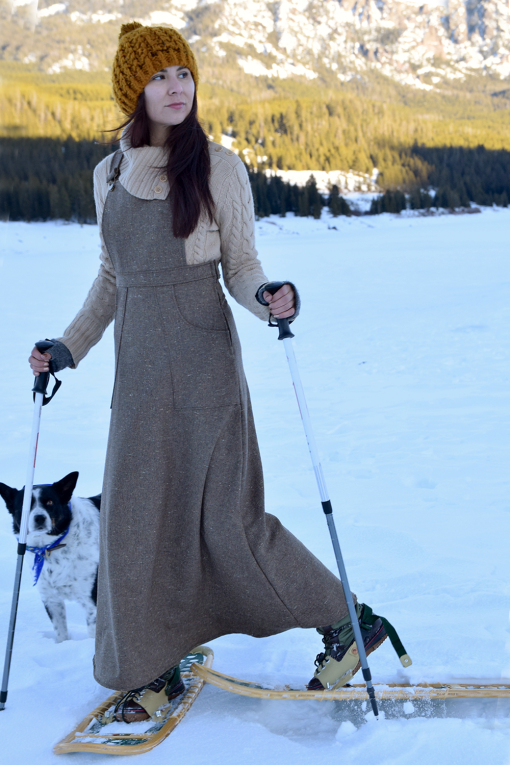 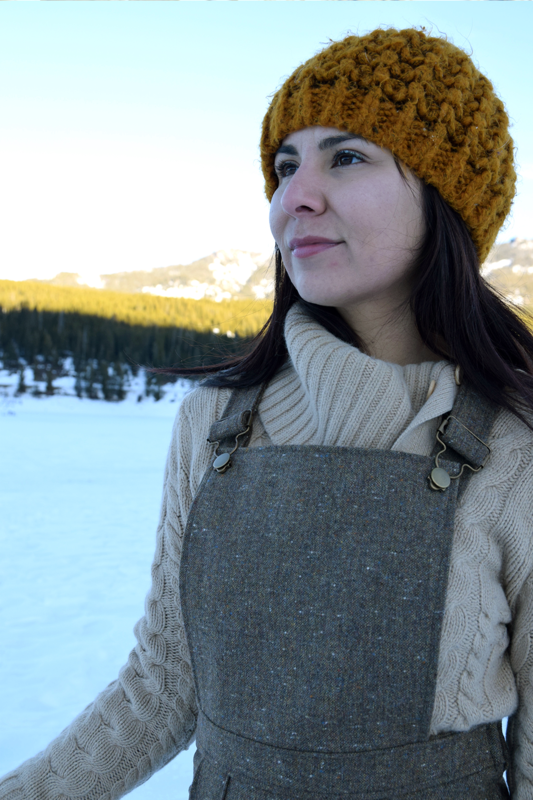 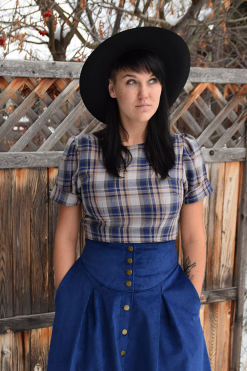 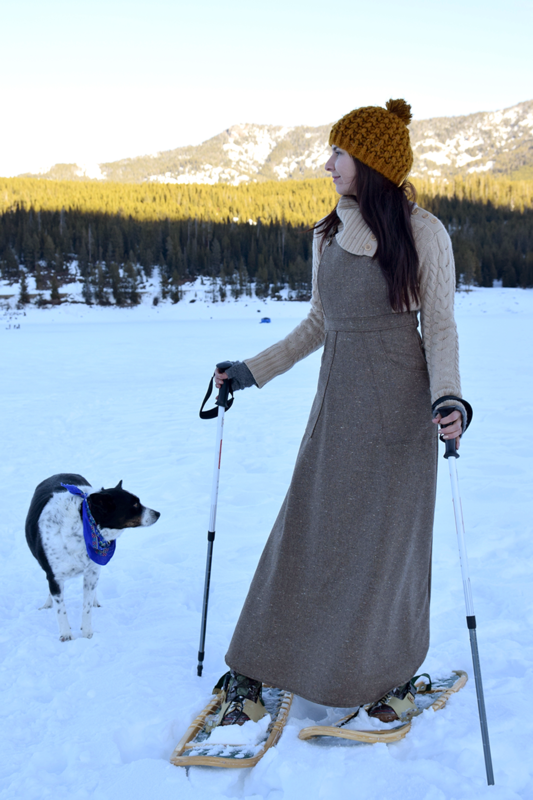 P.S.-Everything I make is from up-cycled or re-claimed materials, hence the RevivALL…This pinafore dress is made from dead stock dark brown tweed wool. 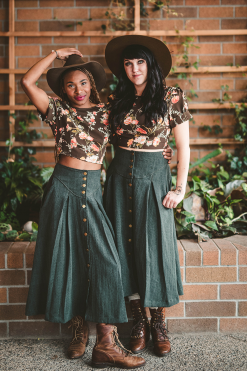 Dead stock is the remnants from other fashion houses and by using it, we are reducing waste from the fashion industry.